Envigour specializes in strategic policy development. We have extensive experience in development of policy, strategies, and plans. We also can advise on how to ensure successful implementation. We specialize in energy policy, but can bring our experience to many fields. Development can bring uncertainty and a risk the public may lose confidence that the development will be managed to a positive outcome. Envigour believes public confidence can grow when development is done with respect, open dialogue and is knowledge based. We can help. Good policy involves managing positive and sustainable economic development. Envigour will help build connections for businesses in Canada and beyond, especially in the emerging Marine Renewable Energy and Efficiency sectors. The Envigour Team is growing. We started in 2016 with Principal Consultant, Bruce Cameron. 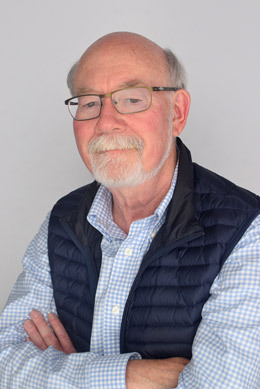 Bruce has more than 40 years’ experience in public policy critique, analysis, and development. Close to 20 years of that experience was with the Nova Scotia Government in the Departments of Finance and Energy. Based on significant experience in public consultation, policy, and strategy development, Bruce can advise on policy options, alternatives and implementation strategies for public and private sector interests. Bruce Cameron is the former Executive Director of Electricity, Renewables, and Efficiency with the Nova Scotia Department of Energy. He has developed policy leadership in the areas of electricity, renewable energy – particularly in the area of in-stream tidal energy – energy regulatory development – particularly in offshore oil and gas as well as marine renewables. In the development of strategic energy policies for – Nova Scotia, he also has extensive experience in stakeholder and public engagement. He has an MBA from Dalhousie University (1985) and an undergraduate degree from Carleton University in the arts and social sciences (BA 1973) BJ Hon. (1974). In February 2016, he became an Adjunct Fellow at Southampton University. In April 2017 QUEST announced Bruce Cameron has been selected as a Senior Associate. Throughout 2018, Bruce worked with key leaders in marine renewable energy to launch a new organization to support research and development in the sector through the Americas. A Pan-American Marine Renewable Energy Conference (PAMEC) is now planned for January 2018 in Costa Rica. The conference governing body is the PAMEC.Energy Association with Bruce as President. In addition to Bruce, Envigour works with experienced Associates in Nova Scotia, Newfoundland and Labrador, New England, the UK and Singapore. Envigour can be the lead in managing projects or join as a partner with others. Envigour was founded in 2016. Over the course of the following 24 months, Envigour advised clients in Canada, the UK and Singapore on energy policy issues ranging from financing of energy efficiency upgrades; design of energy efficiency agencies; carbon pricing issues in the Nova Scotia electricity sector; electricity markets for renewables in Atlantic Canada and New England, energy data collection and management, clean technology exports and inward investment in Atlantic Canada and an analysis of asian market opportunities for marine renewable energy supply chain and developers in Canada. Envigour also analyzed current practices and challenges in the collection, management and reporting on energy information in Canada, and supported the Marine Renewables Canada mission to the Asian Wave and Tidal Energy Conference in Taipei, Taiwan. The Atlantic Energy Data Roadmap project looks at data associated with the use of energy and data that gives that use context and additional meaning by answering questions such as – When and where it was used? Who used it? What was the cost? And how can it be shared while protecting privacy? Answering these questions will help improve accountability and drive innovation. To create a cleaner energy future, we must reduce the amount of energy we use. One of challenges in making the investments that reduce energy use is financing. In 2016 this subject was explored in a report that was adopted by Canada’s Energy Ministers.